It’s often said that the three most important things in real estate are location, location, and location. That goes double for land-scarce Japan, making location the top six priorities, but the important question then becomes what makes a good location? 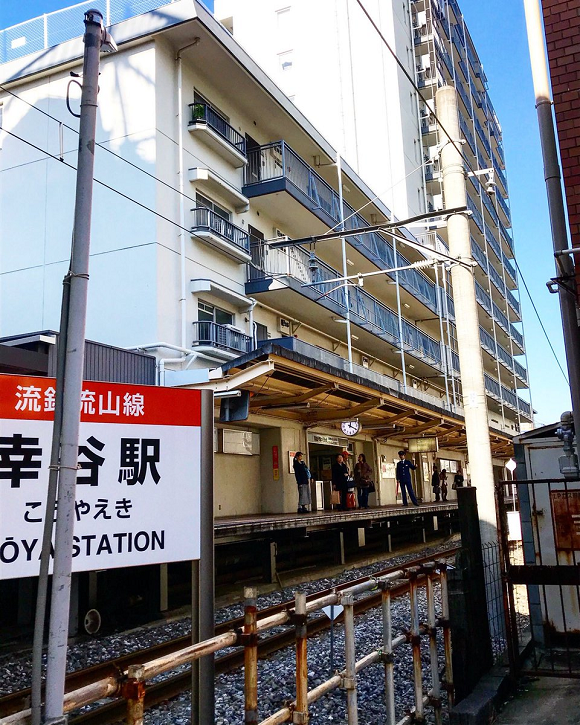 But while most people would envy a five-minute stroll from home to the station, even that’s several times longer than the walk residents of this apartment building in the city of Matsudo have, because their homes are built literally on top of the station, as shown in these photos from Japanese Twitter user @matsujun5213. That’s the platform of Koya Station, one of the stops on the Nagareyama Line in Chiba Prefecure, Tokyo’s neighbor to the east, with the station building itself on the first floor. But look up, and on the floors above the platform you’ll see apartments. While there are only three floors of apartments in the shorter section of the structure, an opposite-angle shot of the taller part reveals 11 floors of as-close-to-the-station-as-possible homes. Of course, the immediate potential problem that springs to mind is the noise from living directly above a commuter rail stop, especially since trains stop at Koya between 5:03 a.m. and 12:03 a.m. (just after midnight) on weekdays, and 5:03 a.m. and 12:20 a.m. on weekends. 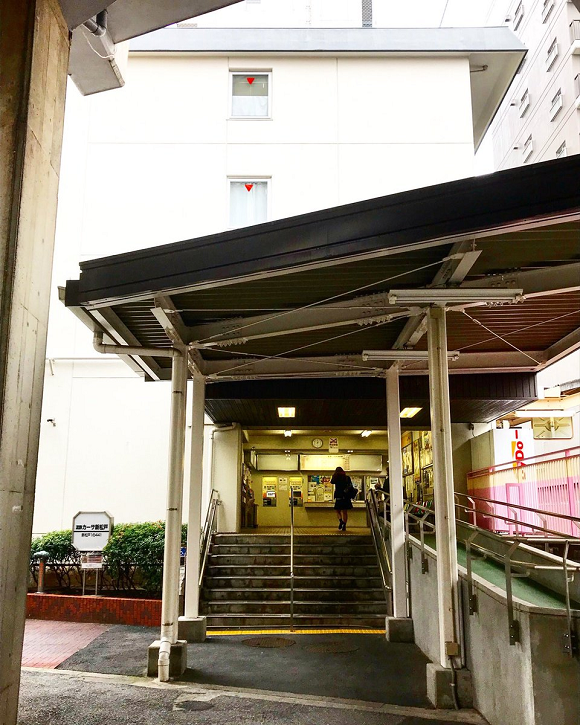 Looking at the photos, though, the exterior walkway that runs above the station platform connects to the apartments’ front doors. Japanese apartments are rarely designed with a living or bedroom along the front exterior wall. Odds are when you first open the door, there’s a kitchen, dining and laundry area, and also a bathroom and shower zone, before you get to the living room and dining rooms, where you’d really want peace and quiet, and all of that buffer space just might cut down on a lot of the noise. ▼ Another benefit to having a station on the first floor of your building? You also have a vending machine on the first floor of your building. And then there’s the obvious upside of all the time you save every day by being so close to the station. 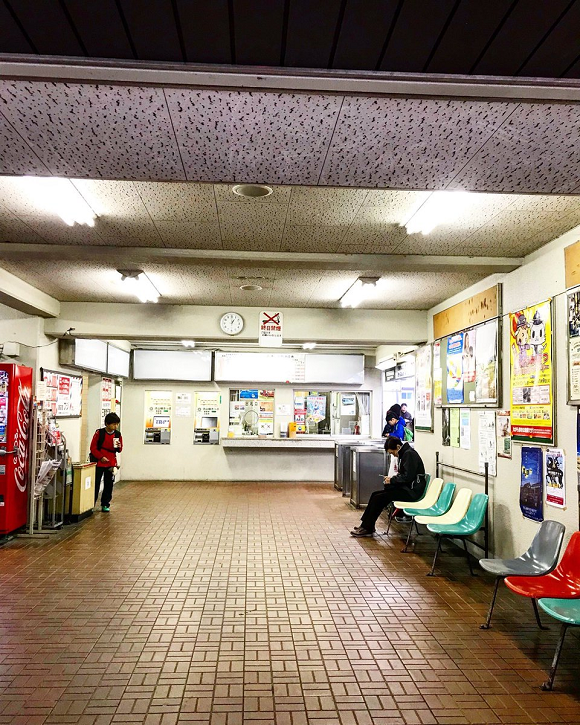 Koya may not be the liveliest neighborhood, but in about 40 minutes of train travel you could be in Ueno, where a number of Tokyo’s most useful train and subway lines are ready to quickly whisk you to just about anywhere downtown. So while this apartment building may not offer the highest level of tranquility, it does a lot to make up for that in terms of convenience. I've lived right next to a station twice and if you happen to face the tracks, no amount of 'buffer space' in your flat will tone down the station noise. Unless you live with the music on through your place, watch shows with headphones and sleep like the dead, it will start to get on your nerves eventually. If I lived on the second story of this particular apartment building, I'd climb up and down to the platform by rope every day. In all very seriousness, I used to live in an apartment that wasn't exactly on top of a station, but it was only one car length away. I could jump from the front entrance of my apartment building and almost make it to the station's platform entrance. Unlike KnowBetter's comment above mine, I actually got used to the station's noise as time went on. After a few months, even the railroad crossing gate ringing was hardly noticed anymore. I really enjoyed living there. People watching from the third floor was priceless. I wish more places were build on top of stations like this. Lots of vibration will make for many sleepless nights. My 5 min walk does me fine. I actually know this line since I had a mate who lived on it and visited him once. The Nagareyama line is super local and goes out into the countryside of Chiba, it's so local that it doesn't even accept IC cards. It links with Shin-Matsudo JR which does make it useful, but there's no real reason to go in the other direction unless you live near one of those stations as there isn't much of interest there. Koya is near Shin-Matsudo but the stations are in separate buildings and are not connected. 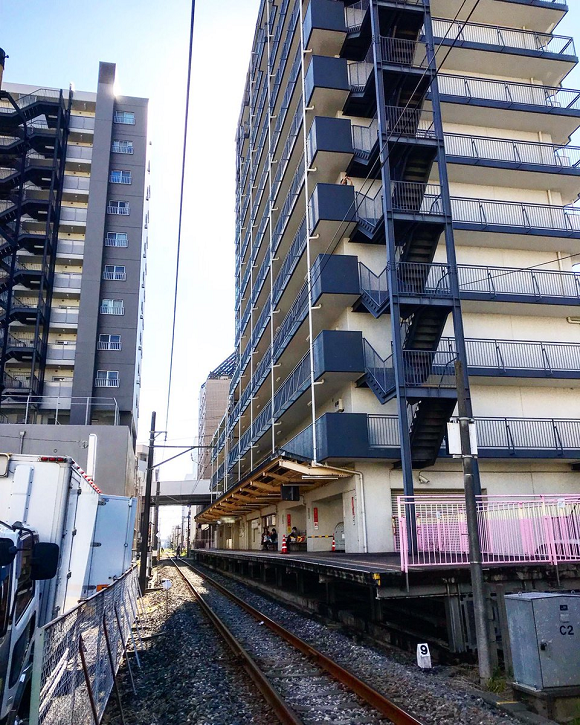 It's unlikely that anyone living there would use the Narareyama line to commute and would use the JR station, so living in this building would be of no value and may be a hinderance as you'd have to deal with all of the people who use the line to get to Shin-Matsudo and back on a daily basis. I think there are some flats which do connect to the Tokyo subway system directly which would be far more convenient! WOW !!!! Works for me.